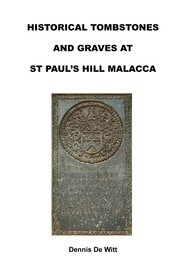 1 edition of HISTORICAL TOMBSTONES AND GRAVES AT ST PAUL'S HILL MALACCA found in the catalog. Add another edition? Are you sure you want to remove HISTORICAL TOMBSTONES AND GRAVES AT ST PAUL'S HILL MALACCA from your list? Published 2013 by Nutmeg Publishing in Malaysia . An essential guide for those visiting St Paul's Hill at Malacca, a World Heritage Site. May 1, 2013 Edited by nutmegpub Edited without comment. May 1, 2013 Created by nutmegpub Added new book.